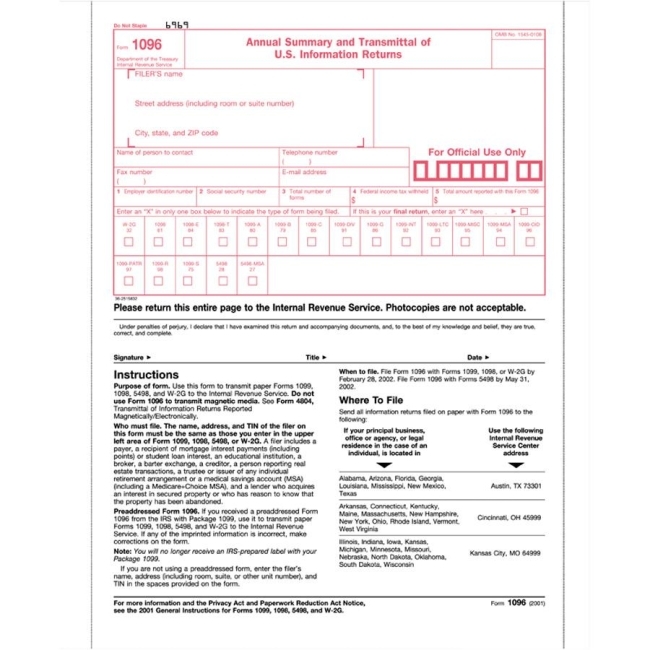 These IRS 1096 tax forms are updated every year to meet IRS regulations. Continuous forms for typewriter or computer or 20 lb. laser forms for laser printers. 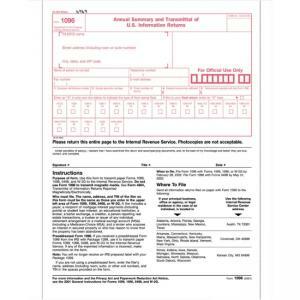 Transmittal forms are for use with 1099 forms. Two-part sets with carbons. Detached size is 8-1/2" x 11".